In this article, hi Siri, I am trying to explain how to use Siri on your iOS device and Mac. You want to get things done, then use Siri. Siri can answer questions, find information and perform simple tasks like making dinner reservations for you or scheduling meetings. Siri can do a lot more than simply search for things. The purpose of this article to provide an overview of using Siri and Sir’s capabilities. Also note that Siri is integrated into iOS, watchOS, tvOS and macOS. Apple acquired Siri in 2010. Apple introduced Siri as a feature of the iPhone 4S in 2011. So how to use Siri? In short, Siri is a virtual assistant to help perform many different asks for iOS and macOS users. Tap Settings > Siri and toggle Siri on. This will enable Siri on your iPhone or iPad. With macOS Sierra, Apple has introduced Siri to the Mac. 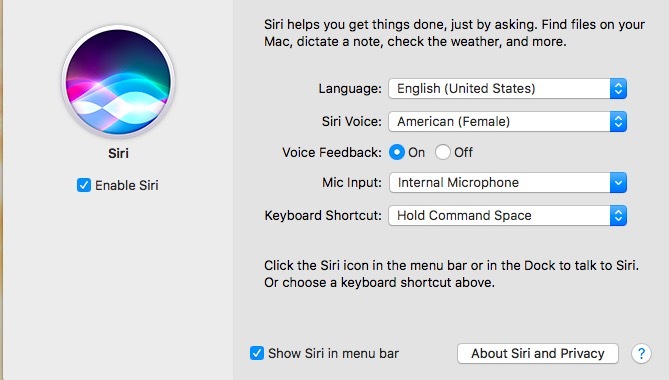 Now Mac users can use Siri. Your computer will ask if you want to enable Siri during the installation of macOS Sierra process. You can do that later also by going to System Preferences > Siri and select “Enable Siri”. You can also disable Siri, if you want to do so. Home button: hold down the Home button until Siri launches. Hey Siri: If you enable Hey Siri (if you want to enable, see below), you can just say Hey Siri. The Siri icon in the Dock: Simply click this icon. The Siri icon in the menu bar: Simply click this icon. What Siri Can Do For You? Simply Siri can do a lot. Below commands are just examples to give you an idea. Enable / disable stuff like Wi-Fi, bluetooth, do not disturb etc. Mac commands: “make the screen dimmer / brighter”, “turn on bluetooth”,”what is my macOS version” or “increase / lower volume” etc. Read this, if Siri is not opening Apps. Note that Hey Siri is not available on macOS. 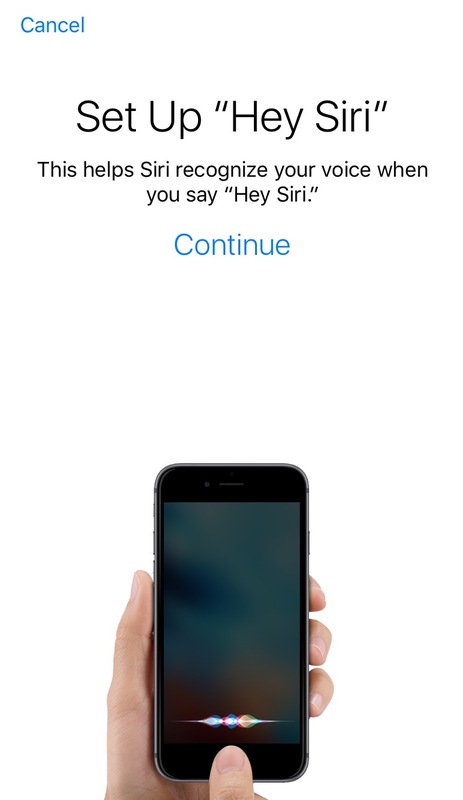 “Hey Siri” lets you activate Siri without pressing the Home button. You just need to enable this feature by going to Settings > Siri > Allow Hey Siri. You will now set up Hey Siri. Just follow the instructions. Then just say Hey Siri to open Siri. Siri will recognize your voice. Note that Hey Siri will be disabled while in “Low Power Mode”. If you are having issues with Hey Siri, you can troubleshoot easily. 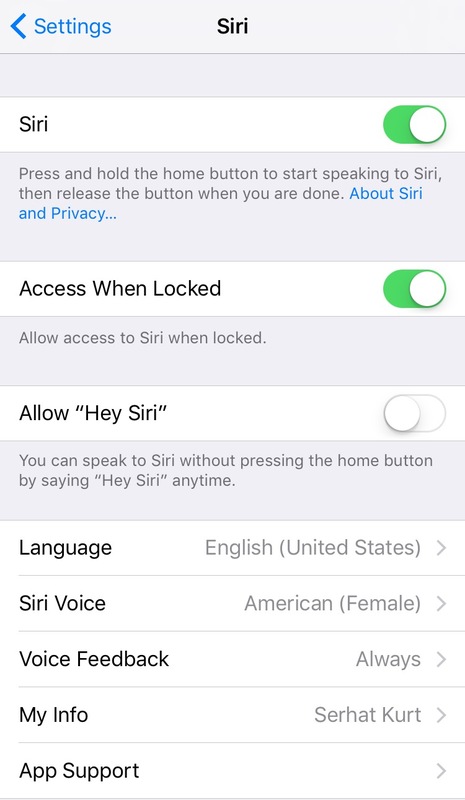 you can access Siri when your iPhone or iPad locked. you can change Siri’s language. Siri is available in many countries and thus languages. you can change Siri’s voice: Male or Female. You can also select accents like American, British, Australian etc. You can enable or disable voice feedback. You can also select app support like Facebook etc. Go to System Preferences > Siri. you can change the keyboard shortcut to open Siri. If you are having issues, please see this (Siri Not Working) article.